Type of boat: Seabird (Open Sailing Boat). Cruising Capacity– Maximum 5 Pax per boat. 4.00 pm: Take Motorboat ride from start point to the seabird sailboat. 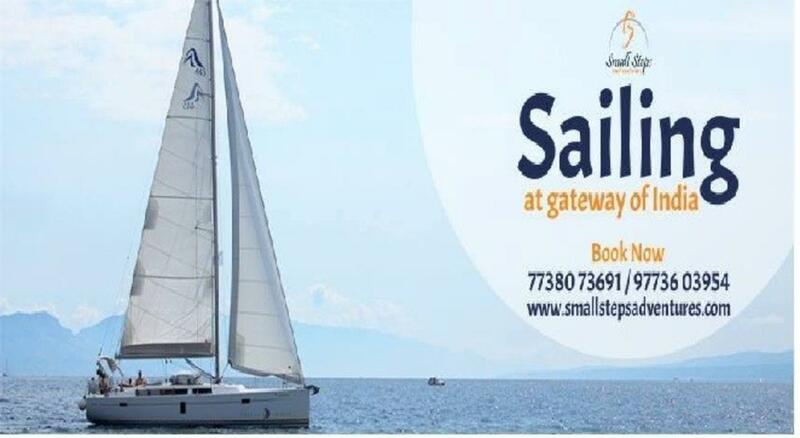 Experience a best sunset sailing experience for approx. 1 hour 30 minutes. 6.00 pm: Reach to the shore by motorboat. Cost: INR 1300/- per person. Exclusions: - any other expenses than Inclusion. 2. At least 2 litter of drinking water. 1. Leader's decision will be final and binding. 2. Small Steps Adventures reserves all the right to change/deviate/cancel the plans without prior notice. 3. Telephonic confirmation is mandatory; if unable to contact us then send a text message and we will call you back. 4. Please avoid wearing Gold jewelry. 2. If done prior to 10 days of outing 50% will be refunded.